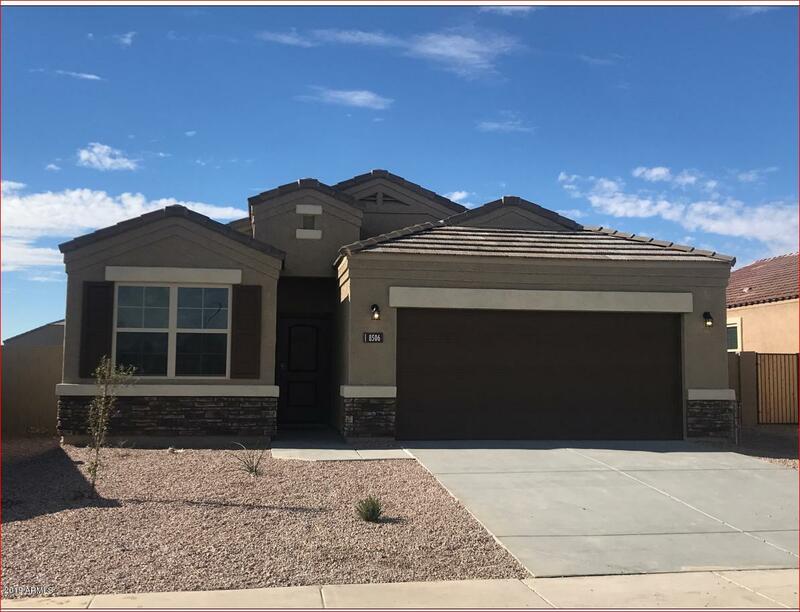 All TERRAVISTA PHASE 1 VARIOU homes currently listed for sale in Buckeye as of 04/26/2019 are shown below. You can change the search criteria at any time by pressing the 'Change Search' button below. "WHAT THE HECK!! I'M STILL BEING BUILT I'M ALMOST FINISHED July is my due date! Huge game room upstairs - master down stairs privacy! SMARTHOME TECHNOLOGY includes WIFI T STAT PROGRAMMABLE DOORLOCK, TOUCH SCREEN SMART PANEL FOR 1 CAMERA, AMAZON ECHO AND DOT! Stainless Steel appliances - smooth top range - micro - dishwasher - full size side x side refrigerator - white washer/dryer - blinds on all windows - garage door opener - rooms pre-wired for ceiling fans - Espresso Cabinets - Pest Control sy"
"I'm so vain you probably think this house is about me!! You are absolutely right I am so good looking and one of the smartest homes around!....I have SMART HOME TECHNOLOGY! Super Cool Sky Bell. I'm also ENERGY STAR SMART! OH, Oversized Corner Lot! - 20x20 tile floors throughout - A huge Island - Stainless Steel appliances - Smooth Cooktop Range- Microwave - Counter Depth SxS Refriderator- washer/dryer - 2 Inch Faux Wood Blinds on all windows - Garage door opener - Rooms pre-wired for Ceiling Fa"
"If you think I'm the one, you are absolutely right I am so good looking and one of the smartest homes around!....I have SMART HOME TECHNOLOGY! Super Cool Sky Bell. I'm also ENERGY STAR CERTIFIED! 20x20 tile floors throughout - A huge Island - Stainless Steel appliances - Smooth Cooktop Range- Microwave - Counter Depth SxS Refriderator- washer/dryer - 2 Inch Faux Wood Blinds on all windows - Garage door opener - Rooms pre-wired for Ceiling Fans - Espresso Cabinets - Pest Control System - Garage "
"VA VA VA BOOM!! aren't you so glad you found me! I'm just a youngster I'm almost completed June closing and I am so *HIP* I have SMART HOME TECHNOLOGY! Alarm.com app - QOLSYS IQ Panel - Amazon Echo & Echo Dot - Sky bell video door bell -kwiksetSmartCode888 Eaton Z-Wave Switch - T6 Pro Z-wave Thermostat - I'm adorable with 20 x 20 Tile - a huge kitchen island to show off - Stainless Steel appliances - smooth top range - microwave - side x side refrigerator - washer/dryer blinds on all windows - g"
"I AM SO EXCITED...I AM ABOUT TO MEET MY NEW OWNERS! - I'm not tired and old I'm YOUNG & FIESTY! I come with the latest and greatest SMART HOME TECHNOLOGY, Alarm.com app, IQ Panel, Amazon Echo & Echo Dot, Skybell, Kwikset Smartcode888, Eaton Z-wave Switch, Honeywell T6 Pro Z-wave Thermostat - 3CM Granite counter tops, 20x20 tile - Stainless Steel appliances - smooth top range - microwave - dishwasher - full size sxs refrigerator - white washer/dryer - blinds on all windows - garage door opener -"
"I AM A NEW BORN AND WILL BE READY FOR DELIVERY SOON I am being delivered as a SMART HOME! TECHNOLOGY includes WIFI T STAT PROGRAMMABLE DOORLOCK, TOUCH SCREEN SMART PANEL FOR 1 CAMERAS, AMAZON ECHO AND DOT! Turn Key ready to move into just bring your things! Gorgeous granite counter tops with under mount stainless steel sink - 20x20 tile - Stainless Steel appliances - smooth top range - microwave - dishwasher - full size refrigerator - white washer & dryer - blinds on all windows - gar. door ope"
"I'm so vain you probably think this house is about me!! you are absolutely right I am so good looking and one of the smartest homes around!....I have SMART HOME TECHNOLOGY! Super Cool Sky bell video doorbell so I can see you before you see me just to mention one! I'm also ENERGY STAR SMART! OH, I'm saying it I'm saving you money! A lovely site - Stainless Steel appliances - smooth top range - microwave - full size side by side refrigerator - white washer/dryer - blinds on all windows - garage do"
"If you think I'm the one, you are absolutely right I am so good looking and one of the smartest homes around!....I have SMART HOME TECHNOLOGY! Super Cool Sky Bell. I'm also ENERGY STAR SMART! 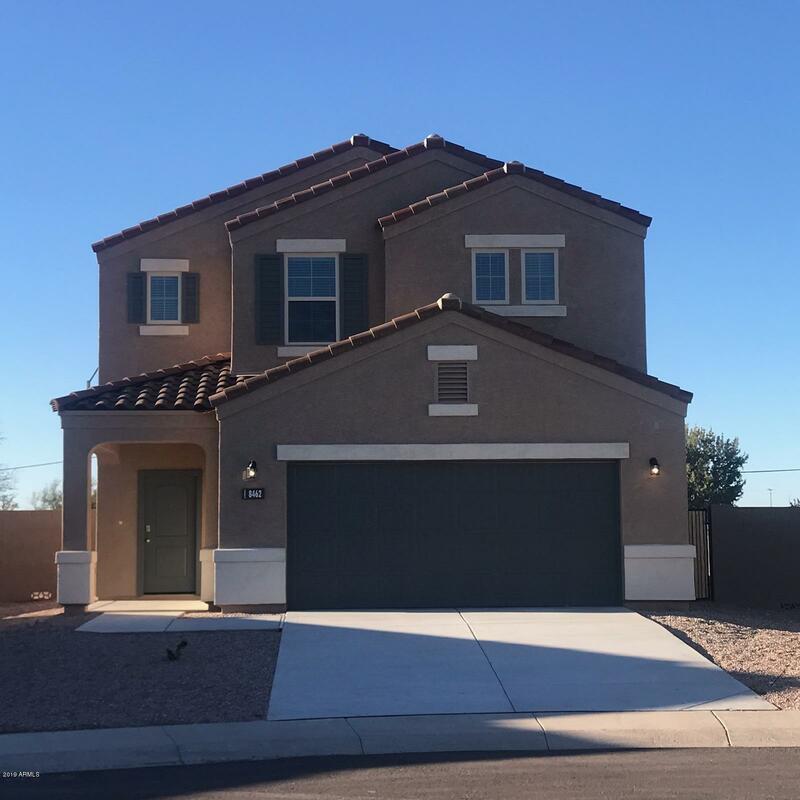 OH, 20x20 tile floors throughout - A huge Island - Stainless Steel appliances - Smooth Cooktop Range- Microwave - Counter Depth SxS Refriderator- washer/dryer - 2 Inch Faux Wood Blinds on all windows - Garage door opener - Rooms pre-wired for Ceiling Fans - Espresso Cabinets - Pest Control System - Garage C"